The Underground Studio MakerSpace is where guided exploration gives shape and form to ideas. Where art and technology come to play. It’s where S.T.E.A.M. learning grows for visitors through creative trial and error. Here, inspiration meets expression. Art meets tech. Mentors meet prodigies. The Underground Studio MakerSpace offers a wide range of programming designed to ignite curiosity, foster creativity and develop new skills. 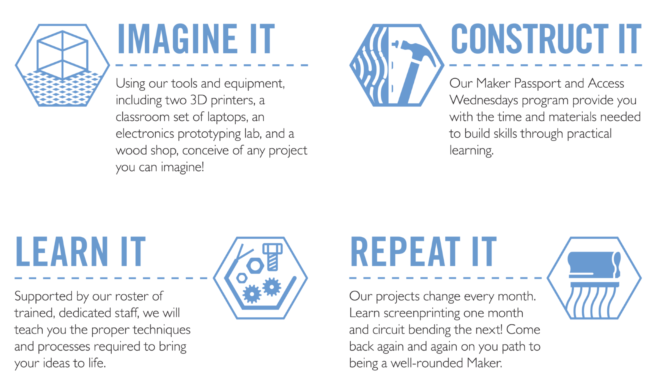 Workshops and projects are designed to incorporate one or more of the seven core programs streams: 3D Modeling, Computer Programming, Circuitry & Soldering, Woodworking, Screen-printing, Textiles, and Deconstruction. SENIOR’S DAYS (Thursday Only) – $5 for Seniors (65+). 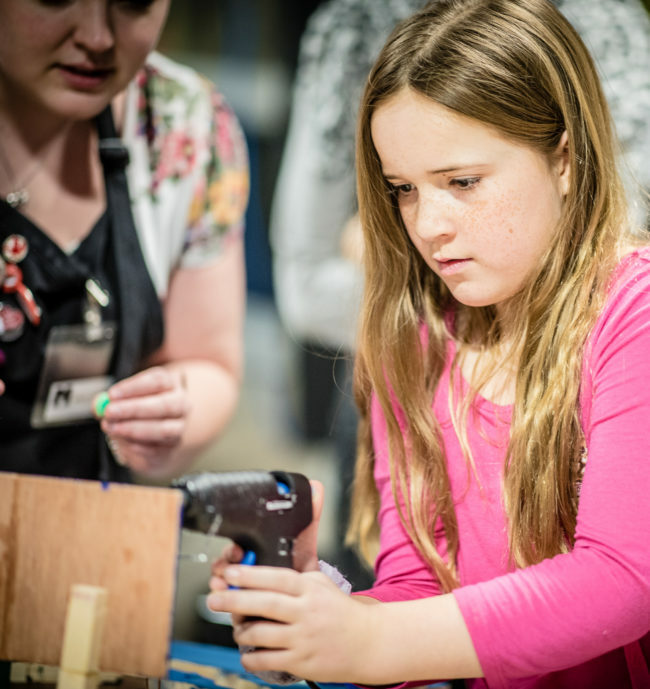 Many of THEMUSEUM memberships offer discounts on The Underground Studio MakerSpace camps and workshops. Join today to take advantage! 3D printing is now available to the public in The Underground Studio MakerSpace. We’re located on THEMUSEUM’s lower level – come down and explore our MakerSpace!